This is done with a quick application of hot water that is poured over the tea in the gaiwan or teapot and then immediately discarded.The rinse water is not drunk – its purpose is to help the leaves begin to open during steeping. Mao cha is considered both finished tea and half-made tea. 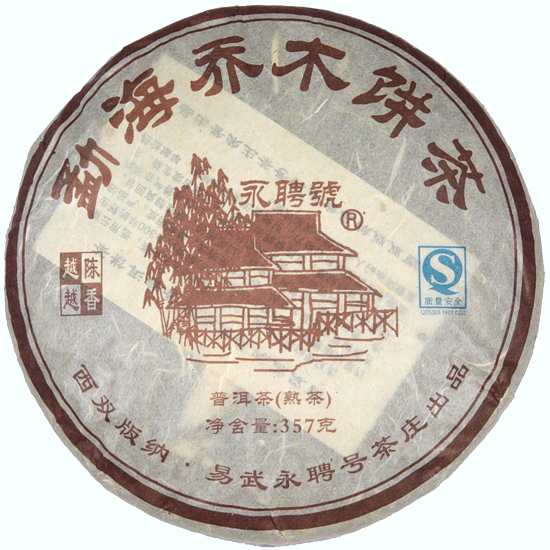 It is essentially young sheng Pu-erh and is drunk by villagers in Yunnan as well as being the leaf that all forms of Pu-erh are made from. Mao cha is simple to manufacture but is complex in its diversity. Mao cha can be made from the fresh leaf of one tea garden or be a blend of leaf from an entire tea village or from several tea producing villages within one county. Mao cha can be stored and aged after it is made, or it can be a new blend that is comprised of aged mao cha from different years. It is found in a variety of leaf sizes, too, depending on the location of the tea trees and on the type of local cultivars (size of the leaf) the mao cha was made from. Mao cha is a wonderful example of the effects of terroir. As you can see, Pu-erh producers have a bounty of raw material to work with, that provide diverse flavor and style possibilities; so the resulting flavor profiles of mao cha are almost endless. All of these variables result in a staggering choice of available mao cha from the various tea production villages. We recently re-tasted several batches of loose leaf shou Pu-erh from the premium Yunnan tea growing areas, in various leaf grades, and from several production years. 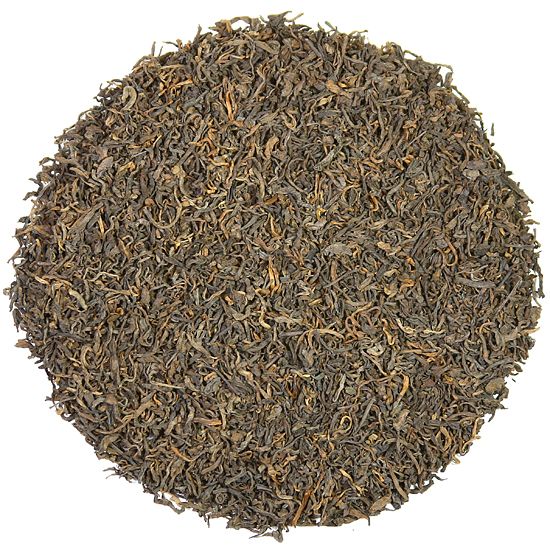 Many of you know that a good Pu-erh beeng is most often a blend of leaf material from various tea harvesting areas, so our loose-leaf blend follows that convention….with the additional benefit that we use aged teas from different years. It also offers the convenience of not being compressed, so is simple to measure and ‘ready-to-drink’. The properties of our blend: harvesting location, grade and age, and careful, light fermentation all contribute to a rich, mature-tasting tea without the over-wrought wo dui fermented character that many shou Pu-erhs are burdened with. Instead, what our blend does have is an earthy, clean, peat-like aroma and a non-astringent, sweet, rich, creamy aftertaste. Overall, our Old Aroma, Old Taste Pu-erh has a contrasting balance of sweetness and a slight woodsy taste. 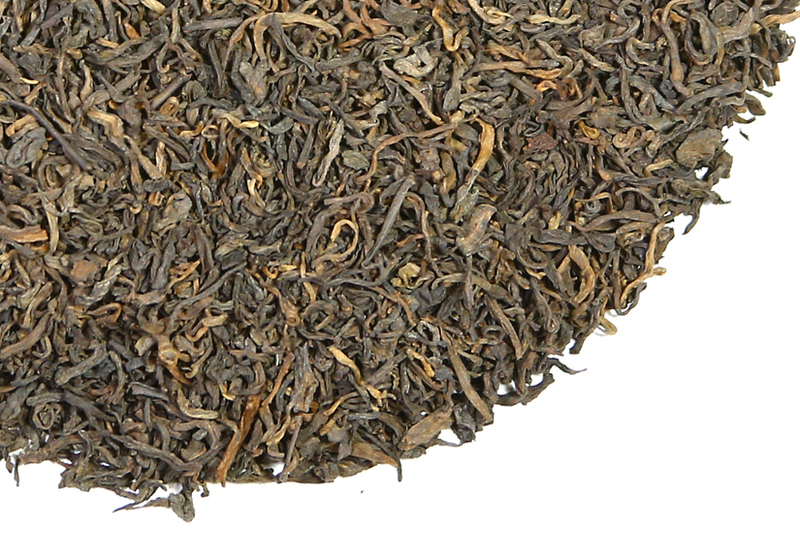 When we blend Tea Trekker’s Old Aroma, Old Taste Shou Pu-erh, our entire building takes on a fresh, earthy aroma. It is reminiscent of the woods in the spring – there is nothing heavy in the air, nor is it over-powering. However, the aroma is so intriguing that we often need to take a break and have a cup of tea! The finish is long and sweet, with a complexity rare for a non-pressed shou Pu-erh. We hope you enjoy drinking it as much as we did creating it.